I love how one little change can really freshen up a look. Thanks to birthday money, I recently went on a little shoe shopping extravaganza. My closet doesn’t have many other new additions, yet putting on an outfit made of mostly old basics plus new shoes makes me feel just a little more fabulous. 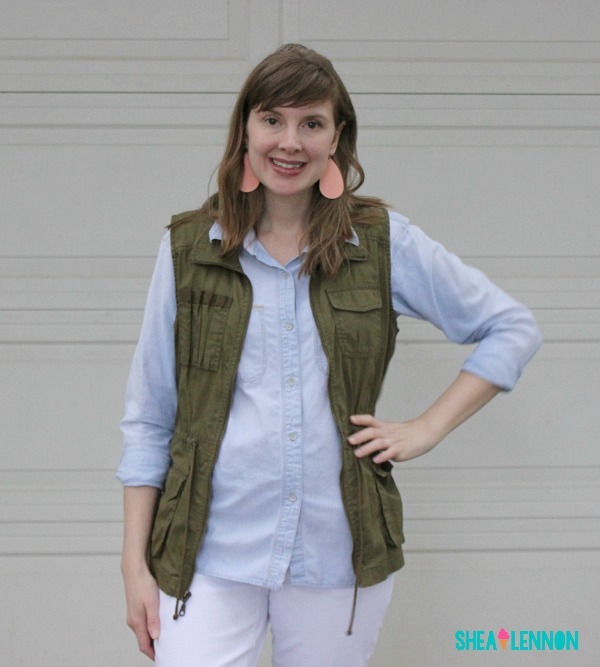 This is a look I’m sure I’ve worn (and maybe even blogged) many times before: classic chambray, cargo vest, and white jeans. 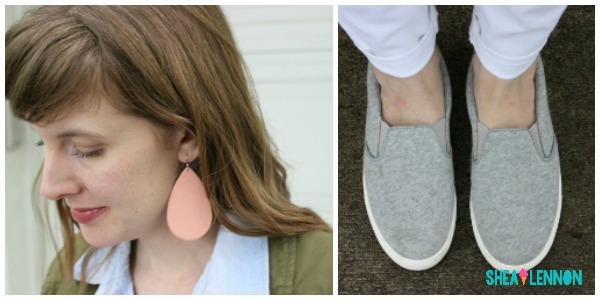 However, these fun new slip-on sneakers make it feel fresh, and perfect for a busy spring weekend. 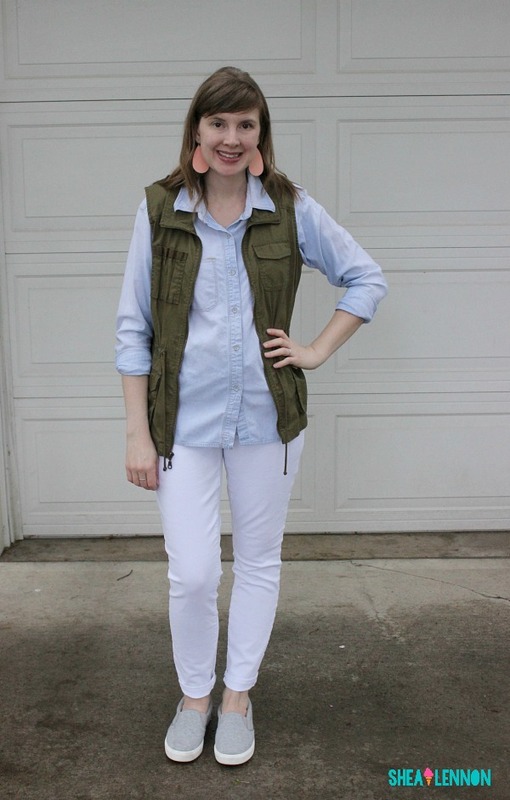 How are you freshening up your spring basics? 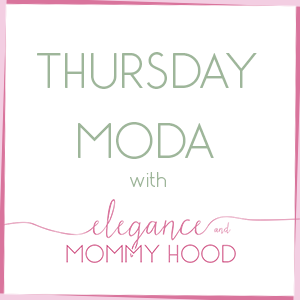 Thanks so much to Ada for having me as a co-host this week for Thursday Moda! Aren't her pink sneakers so cute? I always love seeing her fun, colorful looks and her mommy and me posts with her adorable daughter Vivian. Thanks to everyone who stopped by. 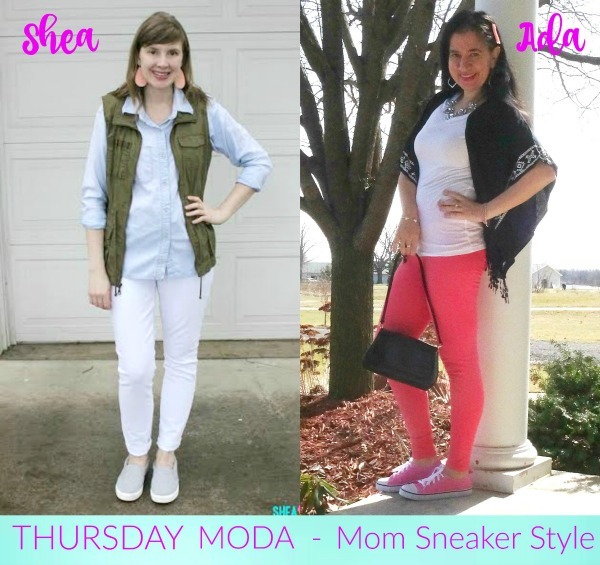 Come back on Monday for some more spring style inspiration. Also linking with Carrie and Jill and A Pocketful of Polka Dots.